Adviser's note: This story originally published in the Cookeville Herald-Citizen in April 2018 and has been republished with the reporters' permission. MEMPHIS — The bell tolled 39 times — one for each year of the life of civil rights martyr Dr. Martin Luther King Jr.
Each time the clapper struck the side of the Clayborn Temple Bell, the sound resonated not just the ears but the souls of the thousands gathered Wednesday to celebrate and remember the life of a man who empowered a social movement. The impact King had 50 years ago still rings true today. Bronner was one of nearly 50 members of the Tech community who attended the MLK50 event outside the National Civil Rights Museum. 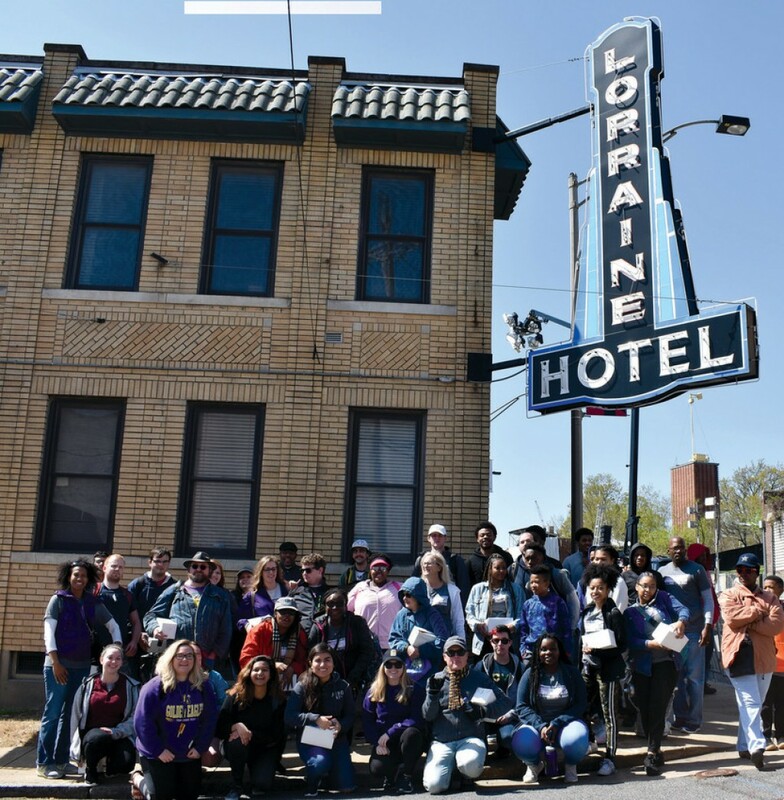 The group spent the day touring the exhibits, listening to speakers and musicians and visiting the Lorraine Motel, the site where a sniper’s bullet ended King’s life. “A bullet could silence his voice, but not his message,” keynote speaker the Rev. Michael Pfleger said. “King represents the optimism. He represents America's hope. Everybody has become so realistic nowadays that they feel like nothing can change, but if the possibility is there, why not chase it like MLK did?” Bronner said. Assassin James Earl Ray fatally shot King at 6:01 p.m., April 4, 1968, as he stood on the balcony of the Lorraine Motel in south Memphis. King spent that fatal day supporting Memphis sanitation workers, who were on strike for better wages. The room King stayed in that visit, Room 306, looks as if he was just there, with breakfast set out and the bed still unmade. The entire museum chronicles King's life as well as events in the civil rights movement. Tisheika Snow, resident hall director, said she believes college students today can relate to the young activists highlighted in the museum’s exhibits. “I feel like they could be inspired by that, and I think that’s really cool,” Snow said. “In today’s time more than ever his legacy and what he stood for continues to live on. It was truly an honor and privilege to experience such a life changing event,” Tech freshman, Shataydrian Marshall said. Throughout the day speakers, musicians and artists addressed the throngs of people – both black and white — gathered in an area outside the hotel monitored by police. Speakers included Gov. Bill Haslam, who spoke about educational advancements, the judicial system and expressed his gratitude to the National Civil Rights Museum. Earlier in the day, thousands marched through the streets of downtown Memphis. “The energy in and around the Lorraine motel and the national civil rights museum was tangibly electric,” Dr. Robert Owens, Tech’s multicultural affairs associate vice president, said. Tech English professor Andrew Smith organized Wednesday’s trip to Memphis. He is a chairperson of the Martin Luther King Jr. Day activities on campus and teaches a class about King. “I love Dr. King, and I’ve always been moved by his sacrifice,” Smith said.